The Agricultural Private Shareholding Company of Törökszentmiklós was founded by the Hungarian Privatisation and Holding Company as the legal successor to the State Farm of Törökszentmiklós. The recent company structure was established in 1994. The company grew to its current size after the compensation process had been completed. Since 2001 there has been a significant change in the ownership of the Agricultural Private Shareholding Company of Törökszentmiklós due to the fact that the company was designated to privatization by a government decree. The territory of the Agricultural Private Shareholding Company of Törökszentmiklós is situated in Nagykunság of the Trans-Tisza region in the middle of Jász-Nagykun-Szolnok County. The 4393 acres of land of our Company are adjacent to 8 communities. Our lands are flat and the soil is variegated. The majority is meadow black earth and chernozem that mix with some alkaline soil. The climate is extreme continental. The annual precipitation is 300-450 mm, which is below the national average; however, it is not typical of the year 2010. 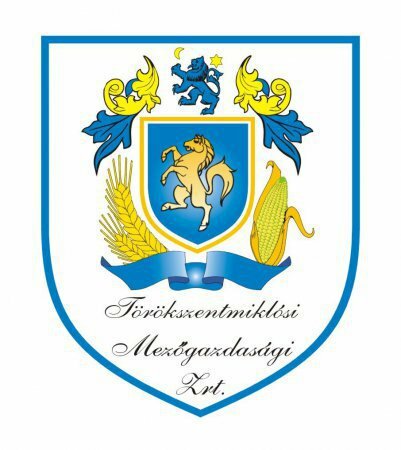 The Agricultural Private Shareholding Company of Törökszentmiklós deals with cultivating plants, seed grain procession, provision of agricultural machines and animal breeding. Horse-breeding and hunting are of overriding importance. Later you can read about our activities separately in details. The company has got a well-established range of partners. Our products are mainly sold on the Hungarian market, but some agricultural products are prepared for export and sold on the EU market too. According to our results, this company is a decisive agricultural enterprise not only of the county but in the region too. We play a significant role in the economic life of Törökszentmiklós and the nearby towns, because we are one of the major employers in the region. Concerning our activities, we try to meet the all-time requirements at the highest level. Our prominent expert team provides a firm background beyond the efficient technical and mechanical facilities. Our company performs its activities according to the standard ISO 9001:2001 in the field of plant cultivation, plant protection, drying and mixing of seed grains and fodder crops, maintenance services, milk production and cattle breeding. The company meets the strict quality expectations and requirements. We hope that you will also be satisfied with our services and we can soon welcome you as our business partner. Our Company is developing and improving continually. The seed plant modernizing project has been finished in Szenttamás in 2012, when we improved the seed processing line, and a new modern corn husker facilitiy was installed. The investment is valued almost at 1 billion forints, a large part of that was financed by the National Diversification Program (Nemzeti Diverzifikációs Program). Further information about our activity is under Services section.